Things are going so well. So what could go wrong? This is what a fan does. He worries. He frets. He wrings his hands and looks for dark clouds. So far, the Tampa Bay Lightning has been terrific. They have come from behind. They have charged ahead. They have been fast and furious. They have been deep and dangerous. And you are scared to death they will trip over something, aren't you? running out of gas. Right? You know that nine of the last 10 President's Cup winners didn't win the Cup. You know that no matter how good the regular season goes, winning it all is the only acceptable outcome. 1. Injuries: Oh, Lightning fans know all about injuries. Remember 2016-17, when Steven Stamkos played in just 17 games. Earlier this year, goaltender Andrei Vasilevskiy missed a month with a broken foot. The wrong injury -- a serious one to the wrong player -- can derail a team. 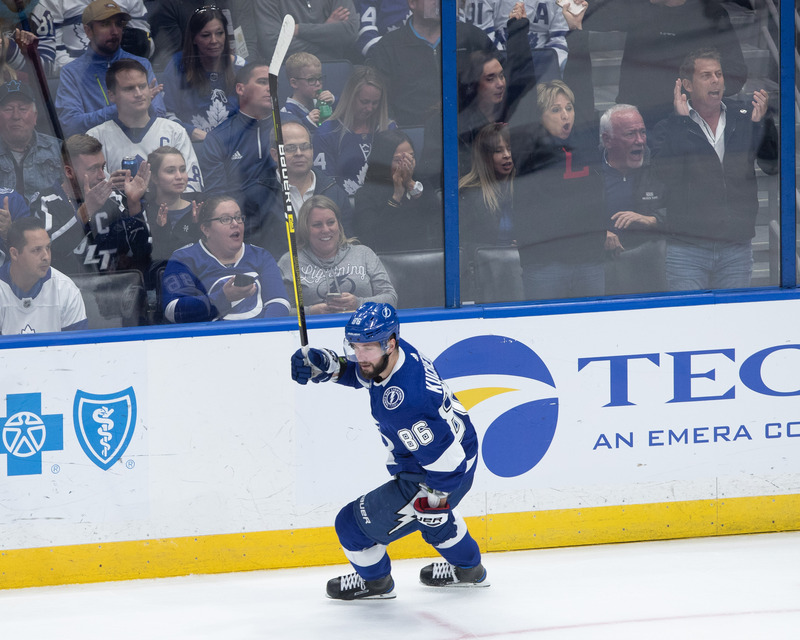 The Bolts can't afford to lose Nikita Kucherov or Brayden Point or Victor Hedman. 2. The draw: One of the secrets of the NHL playoffs is to get the right matchup against the right team. Remember when the Bolts won the Stanley Cup in 2004? The Bolts beat the eighth-seeded Islanders, the seventh-seeded Canadiens, the third-seeded Flyers and the sixth-seeded Calgary Flames on their way to the title. This year, who knows who they will draw in their potential four rounds? 3. Toronto: The Maple Leafs have a sizeable deficit against the Lightning in the standings, but Toronto is a good team that seems to be getting better. The teams are 1-1 against each other this season. 4. The defense: The Bolts have good players defensively, but they still allow too many odd-man rushes. Might that catch them in the long run? We'll see. 5. Winnipeg: I saw a headline Tuesday. It asked "Is this the year that the Jets get over the hump?" Well, if getting over the hump is winning it, either the Jets or the Lightning, or both, will be disappointed. The teams are 1-1 against each other this season. 6. Slumps: I know, I know. It's hard to imagine. Only once this year has the Lightning lost back-to-back games. The depth of their roster seems to be resistant to slumps. But it happens. If it happens in the post-season, where the games aren't called as tight, it could hurt. Remember last year, when Nikita Kucherov scored just two goals in his final 10 games. 7. Special teams: Part of the key to the Lightning success this season has been the play of their special teams. The power play is first, and the penalty kill is sixth. But if either goes into a funk before the playoffs, it could hurt. 8. Calgary: The Flames are the only team in the league besides the Lightning to have 70 points, and they won the head-to-head matchup. 9. Physical play: This concern is held over from last year's matchup against Washington, when the Caps simply won the physical battle between the teams. 10. Another hot hand: There are a lot of great players in the NHL. Someone could get hot enough to steal a playoff series. Nashville's Pekka Rinne anyone? If I had to pick my top 2 worries it would be 4 and 9. I just don’t think the Bolts have the muscle they need to get the job done! I hope i am wrong! GO BOLTS! Next post: Which play best defines Tampa Bay?